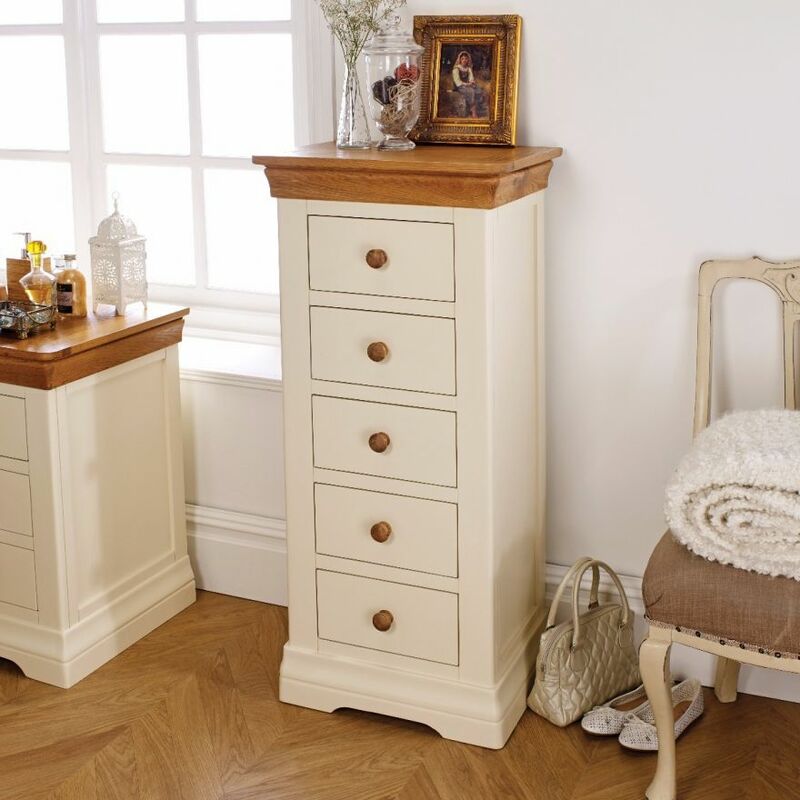 The Farmhouse Cream Painted Country Oak 5 drawer tallboy chests of drawers is hand made my skilled joiners exclusively for Top Furniture. Delivered FULLY ASSEMBLED. Very nice unit. 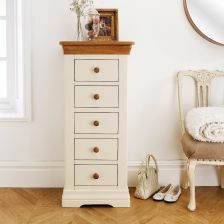 I bought it to match the furniture I already had from oak furniture land and it is perfect and a lot cheaper. Quick delivery. Thank you very much. This tallboy is fantastic. 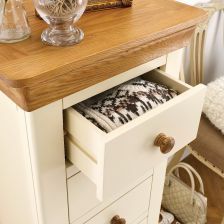 Perfect sized drawers & the quality is superb. Ideal set of small item drawers. Looks good in our spare bedroom. Lovely chest after being disappointed twice from another supplier with badly damaged goods it was third time lucky and very pleased will certainly be looking for some more from you having just moved home!!!!!! Draws are lovely! I bought 2 sets as the sale price was brilliant compared to other furniture stores with the same set. Beautifully finished especially the wooden top. 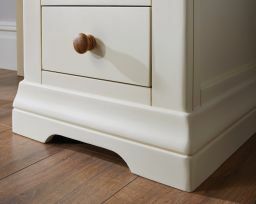 The space inside the draw is sufficient and accessories are provided to attached them to the wall but they are solid enough to be free standing. My only concern is a slight bump in the curve at the base of one set. As I bought them at such a good price its not worth sending it back. Im hoping to buy another matching piece soon. We bought this to stand in our hall, to contain dog walking and grooming items. It looks very smart and seems to be sturdy and well made. The finish also is good. We found this style hard to source, but took a chance on this firm and are glad we did. Packaging was excellent, and it arrived undamaged. Very well made looks good in the bedroom very pleased. i love it i put different handles on ceramic flowers all differaent patterns it matches my wardrobe.